Aruruu is very shy and overall quiet. 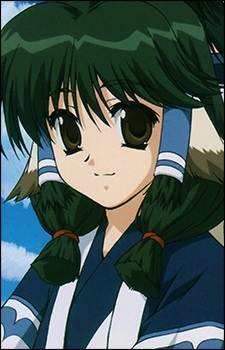 Like Eruruu, her name is taken from a fictional flower, saying that the Eruruu and Aruruu flowers grow together. After Mutikapa, a large, white tiger that is nearly invulnerable to small weapons, is defeated by Hakuoro, she tends to her baby tiger whom she names Mukkuru. Mukkuru grows in a very short time and becomes Aruruu's mount in battle. Aruruu is Eruruu's younger sister.